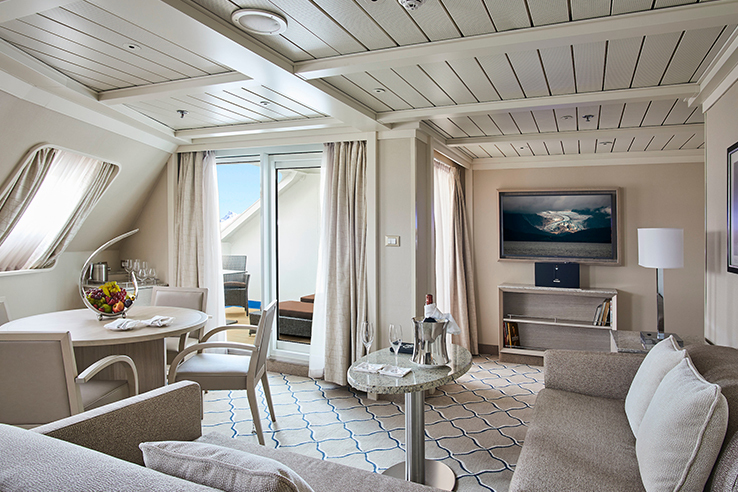 Spacious yet intimate, designed to cross oceans and yet able to slip up rivers and into hidden harbours with ease, the yacht-like Silver Cloud carries just 296 guests in incomparable comfort and style. 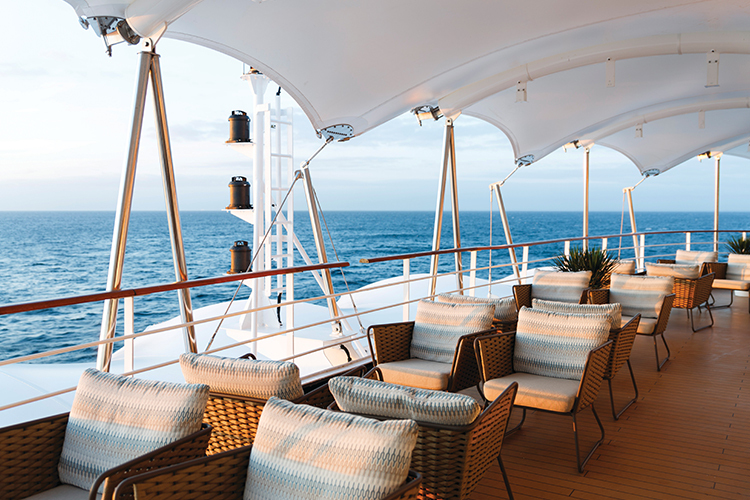 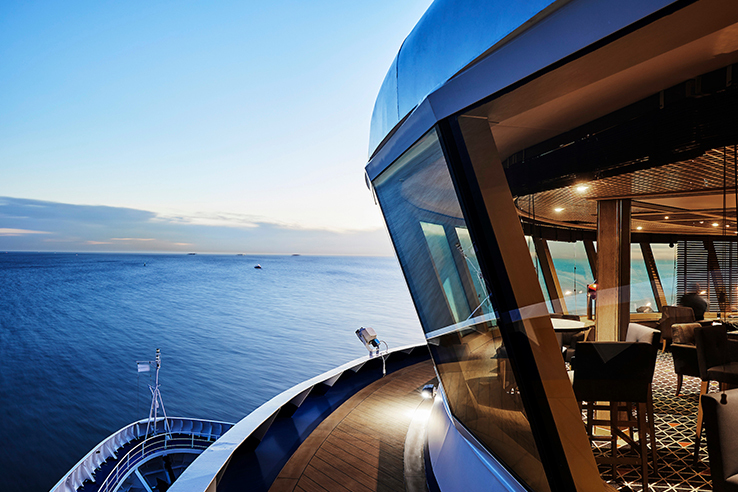 Silversea's inaugural ship launched a new ocean standard and continues to epitomize Silversea’s vision of world-class cruising. 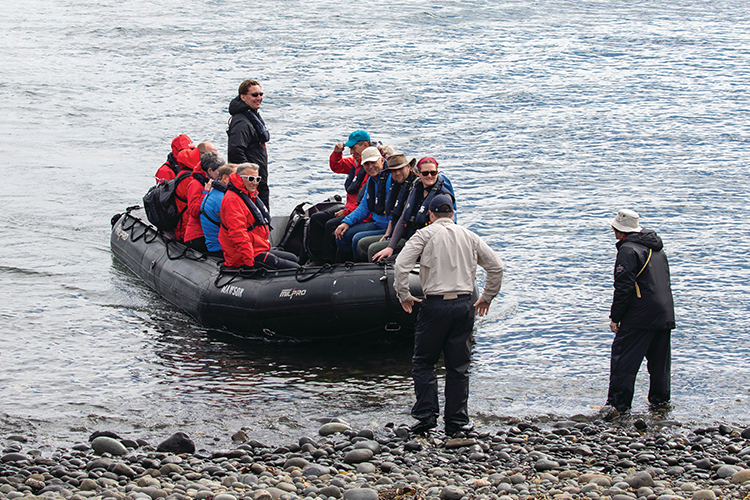 Silver Discoverer’s shallow draft allows her to navigate closer to shore, and with a fleet of 12 Zodiacs and a glass-bottom boat, guests can land on isolated shores and explore wetlands and submerged ecosystems, up-close and in-depth. 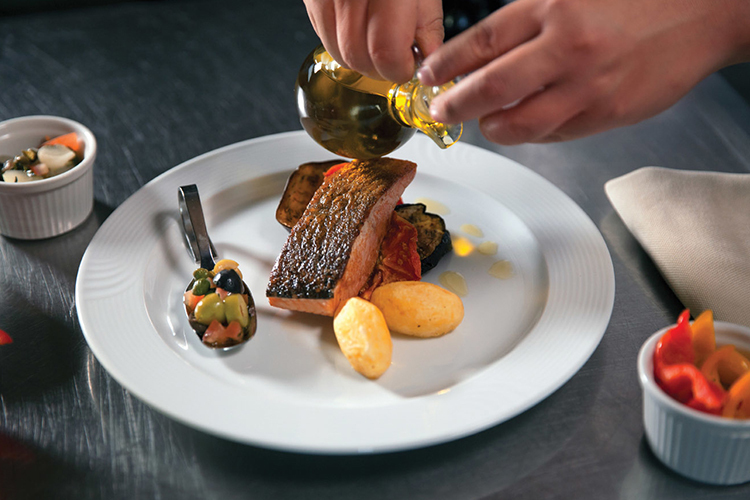 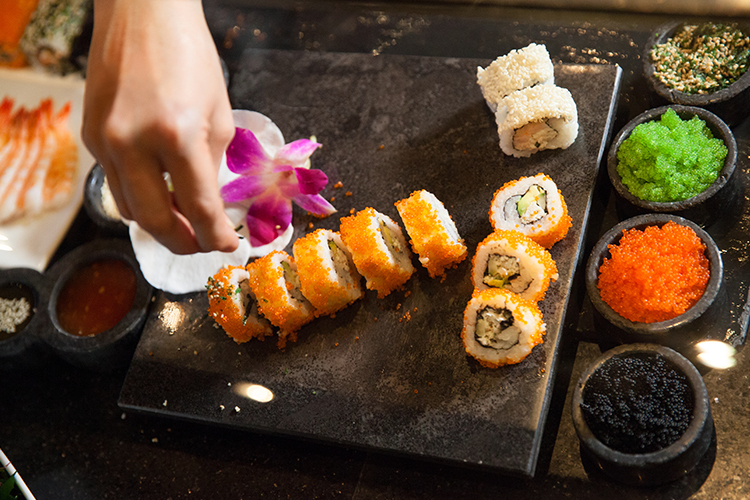 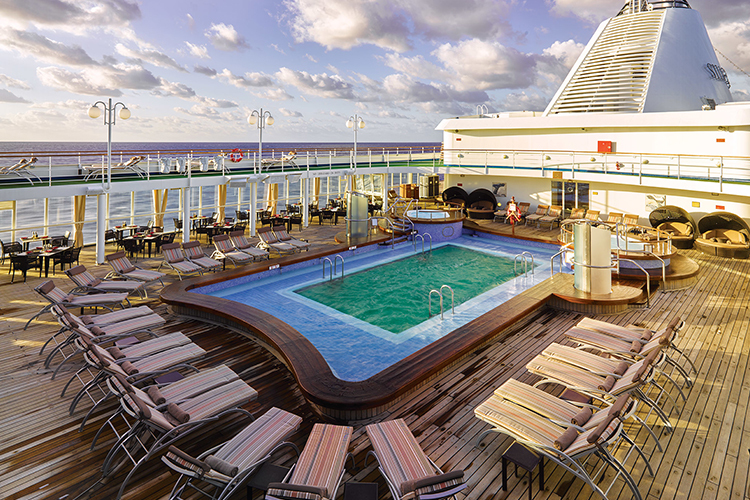 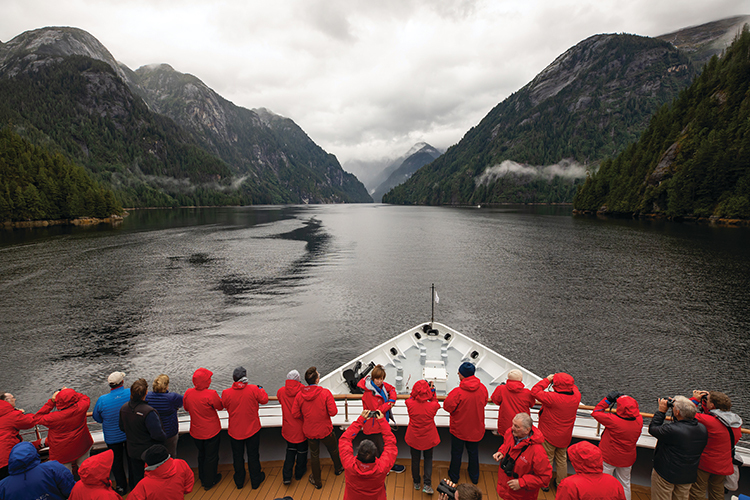 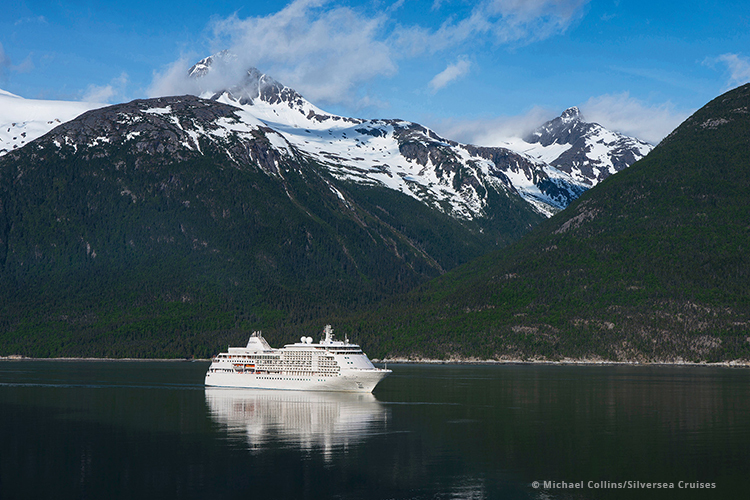 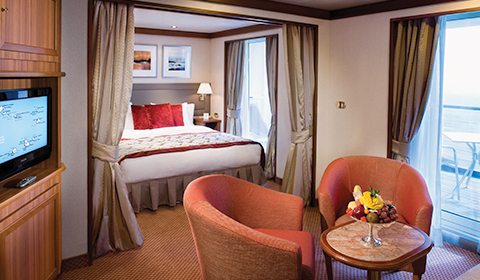 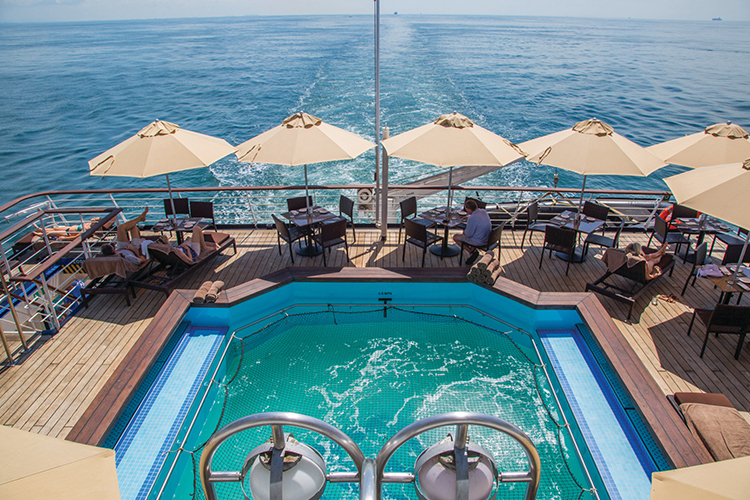 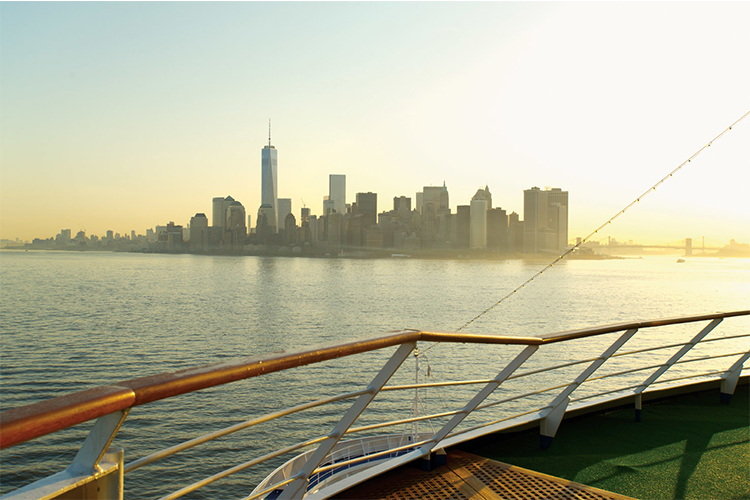 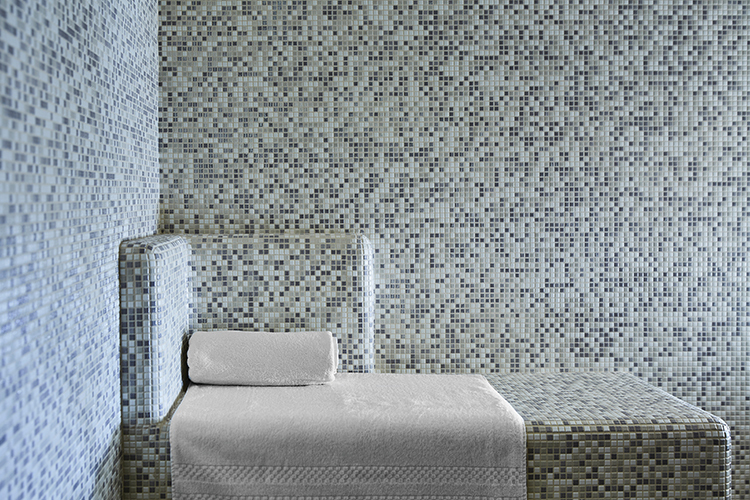 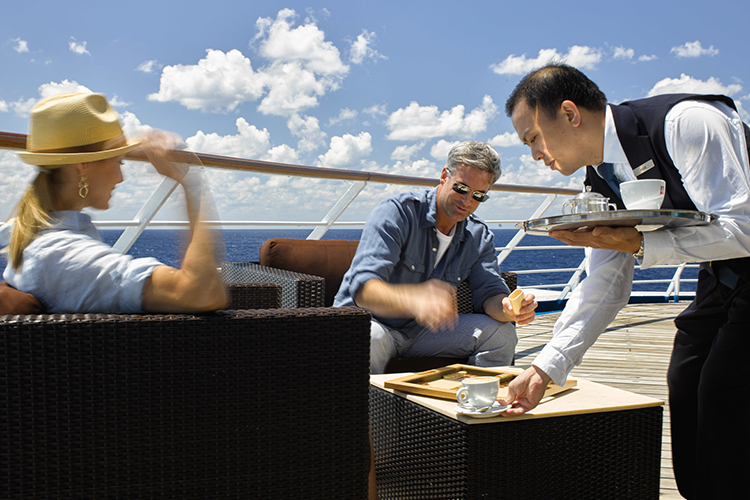 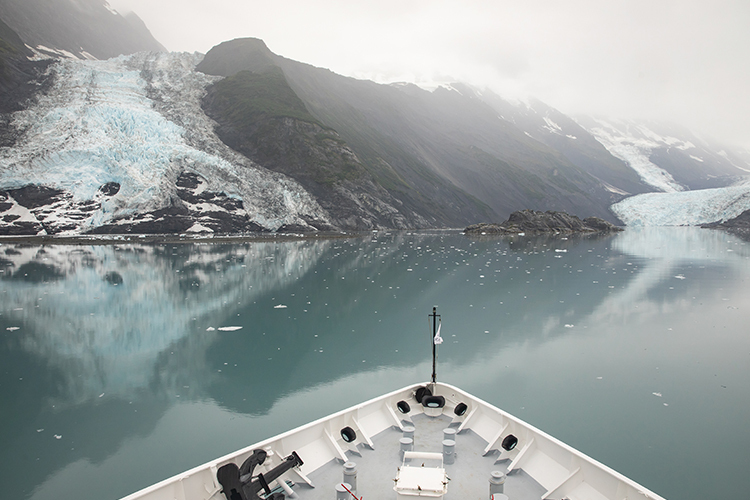 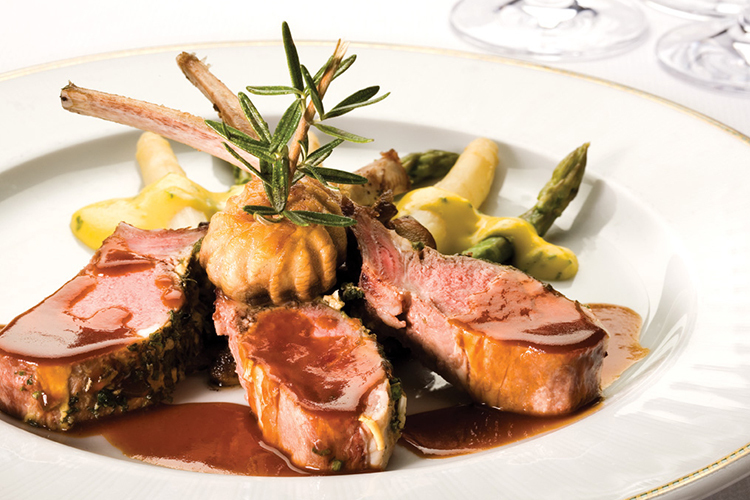 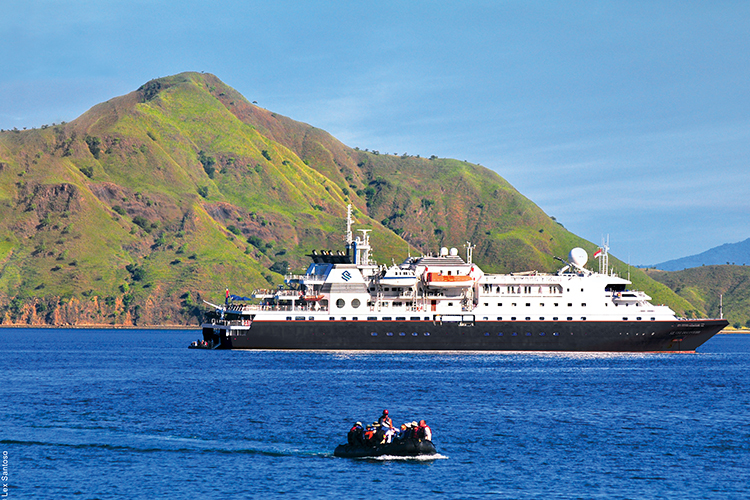 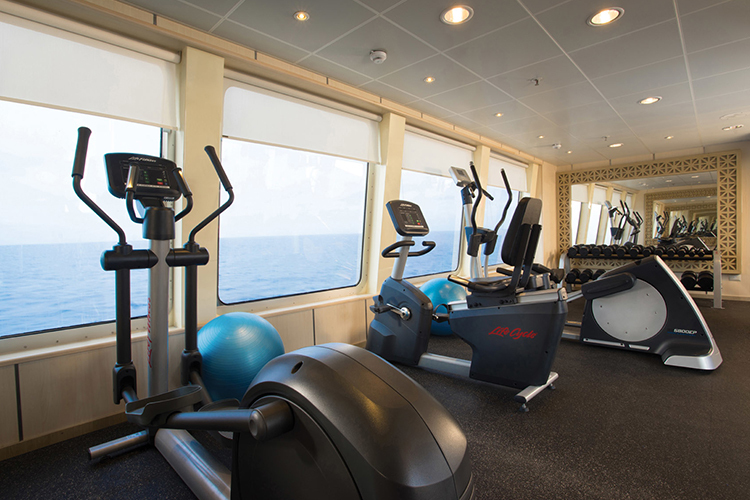 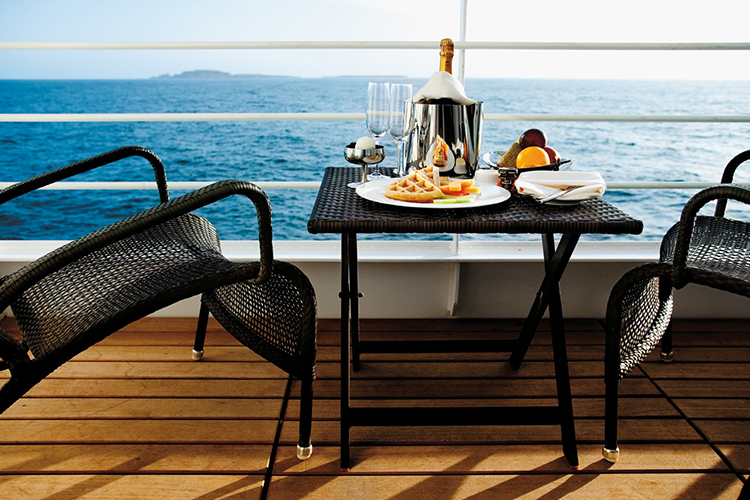 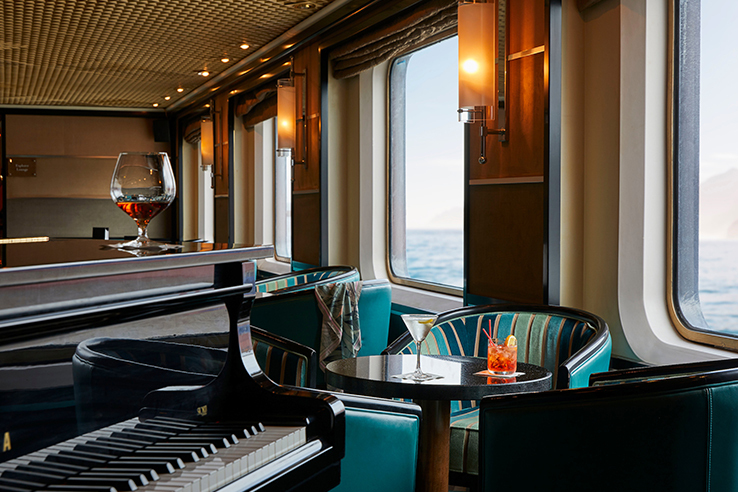 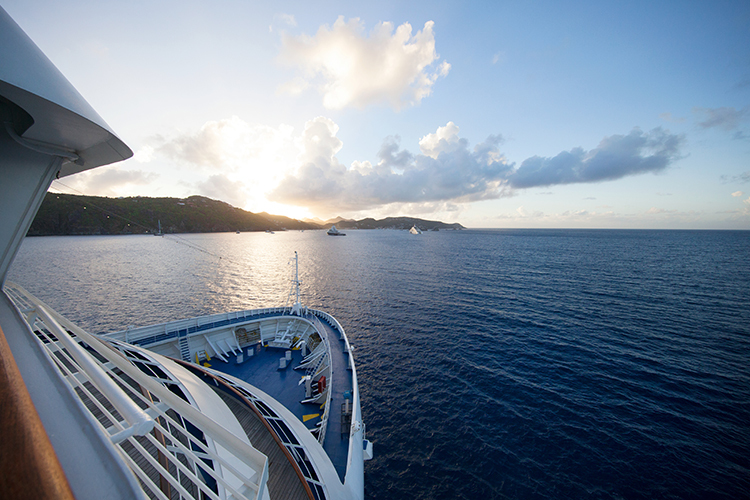 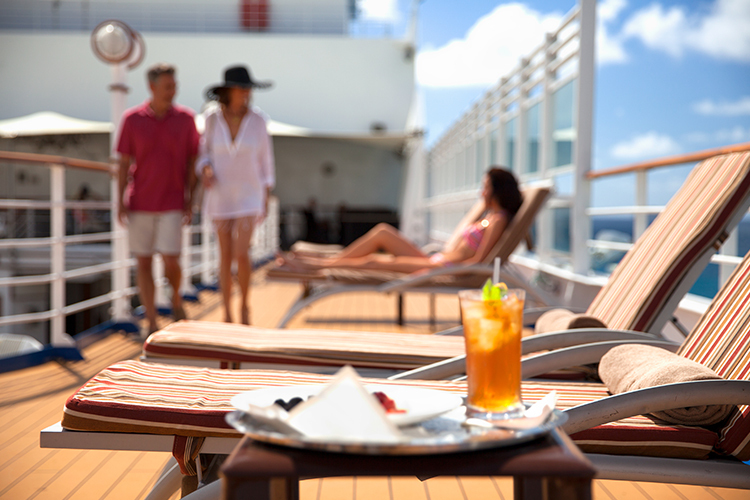 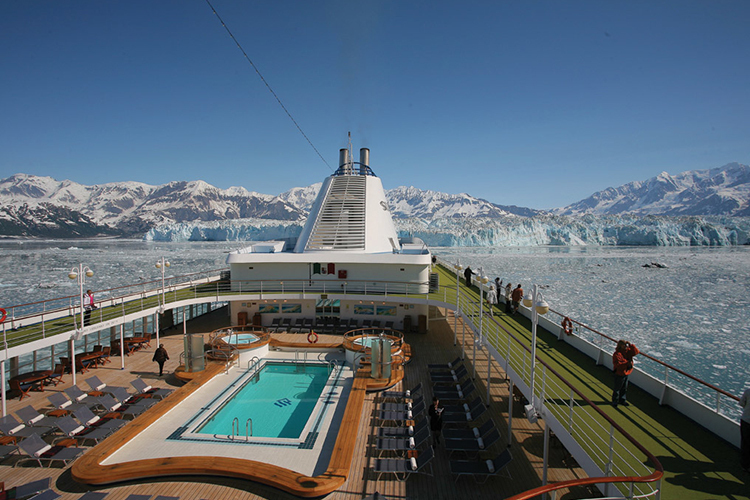 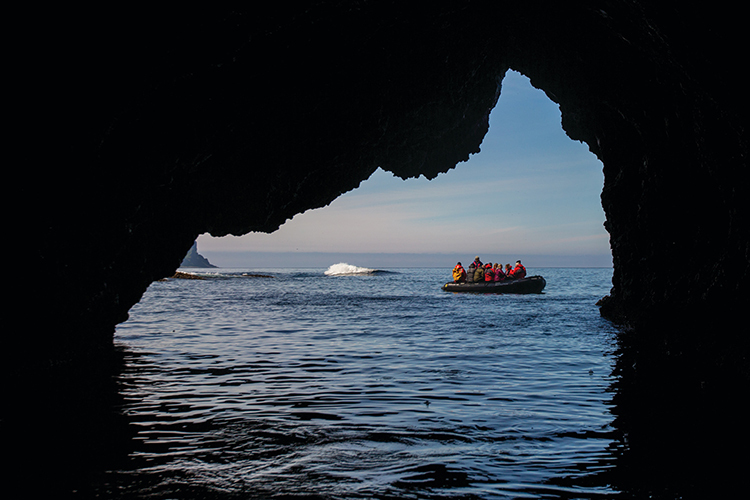 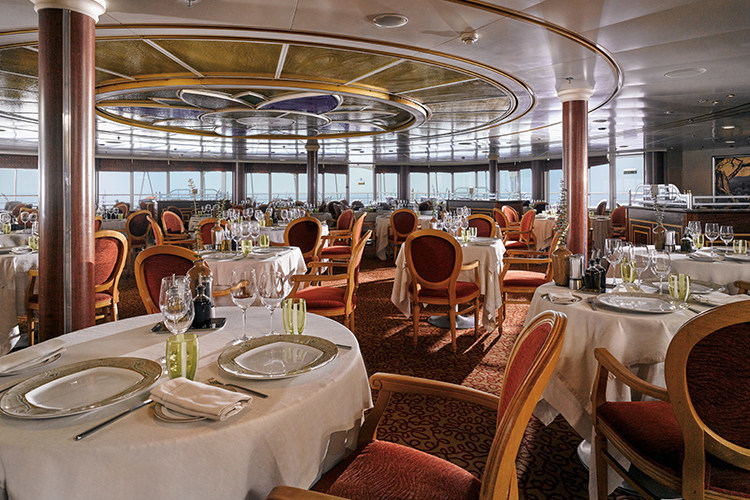 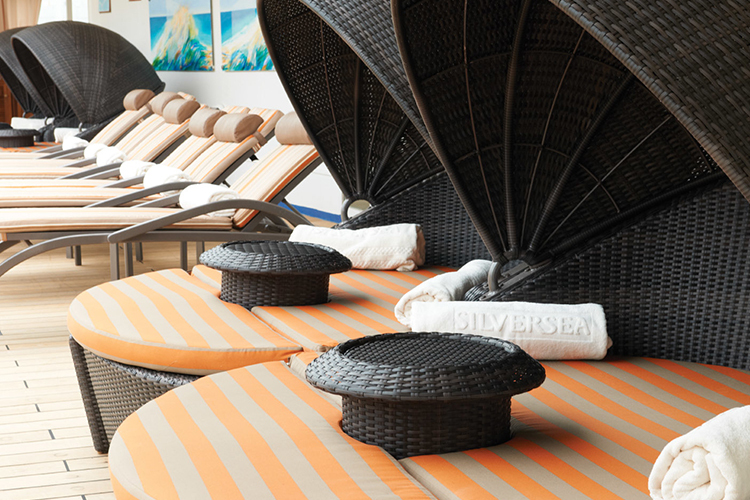 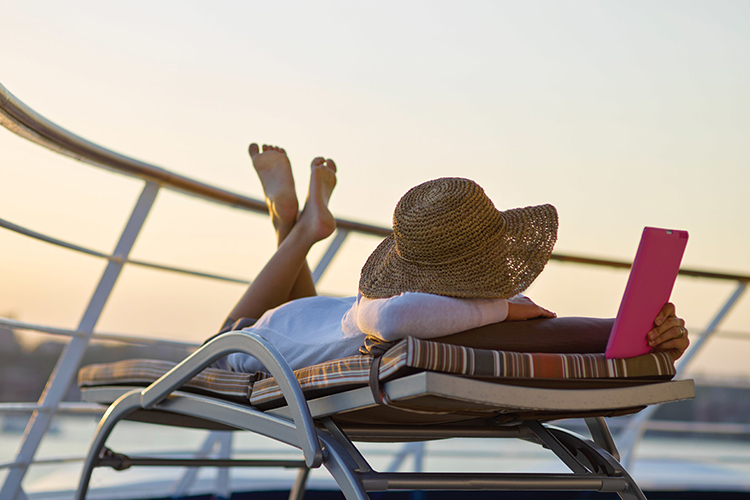 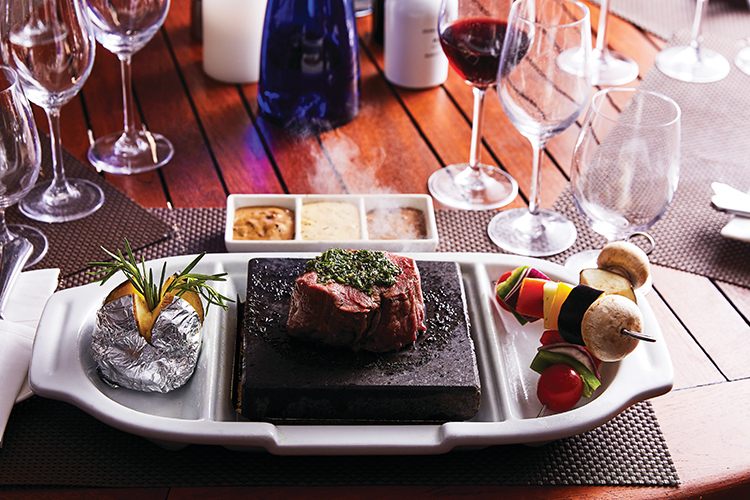 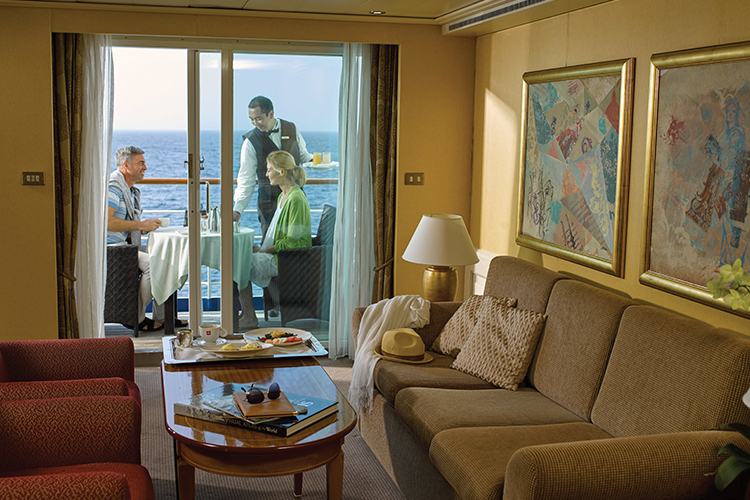 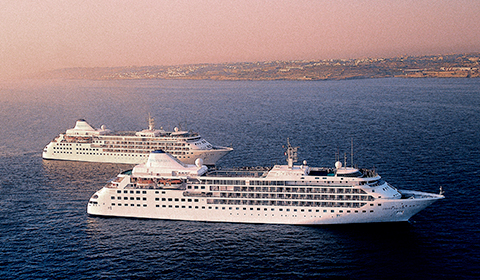 Images courtesy of Silversea. 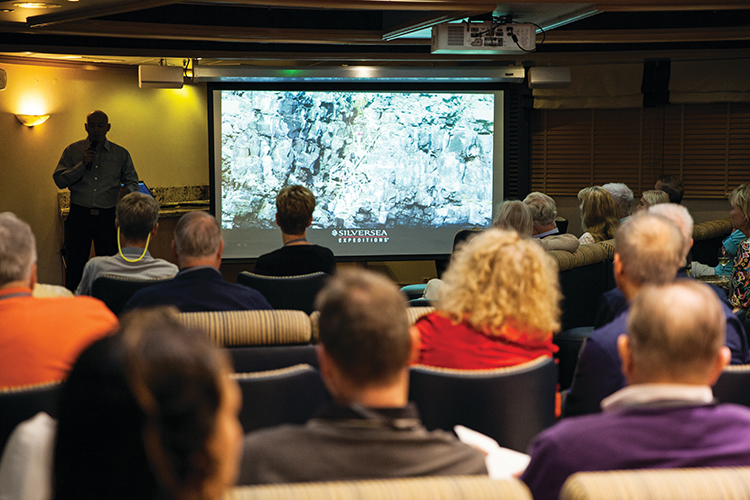 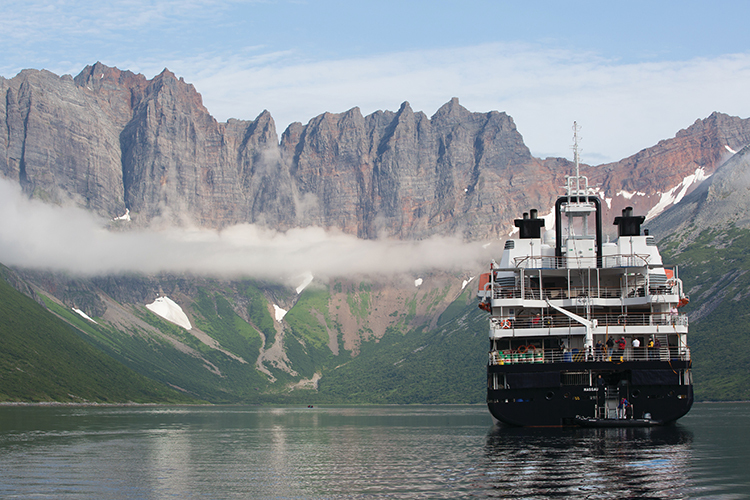 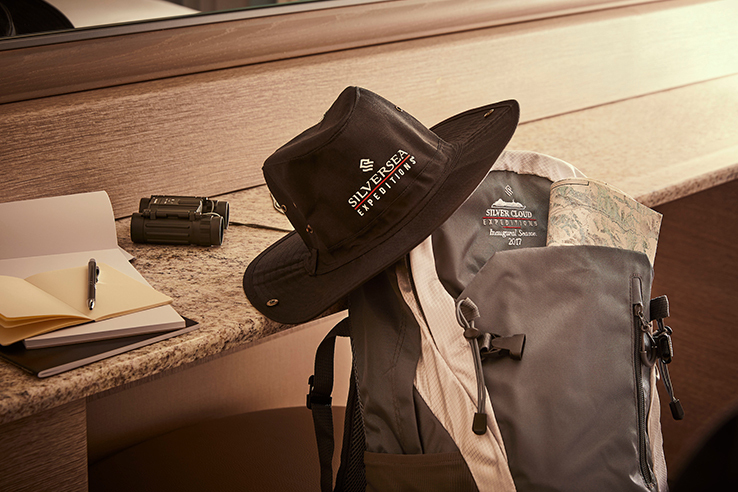 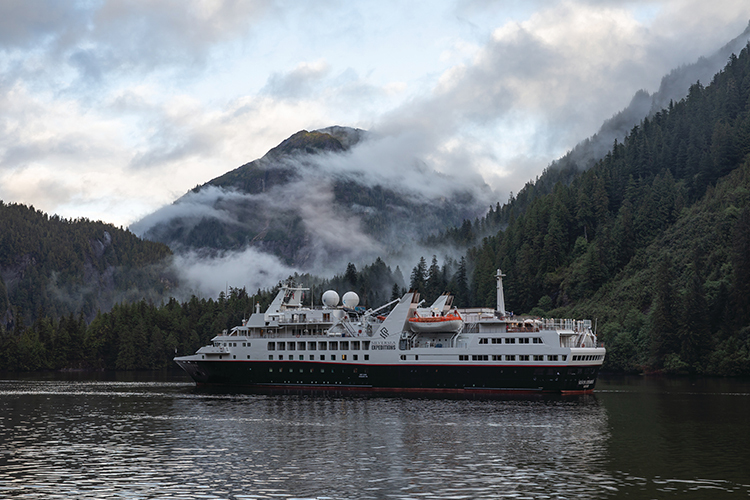 Silversea’s purpose-built luxury Silver Explorer expedition cruise ship has been designed specifically for navigating waters in some of the world’s most remote destinations, including both of earth’s polar regions. 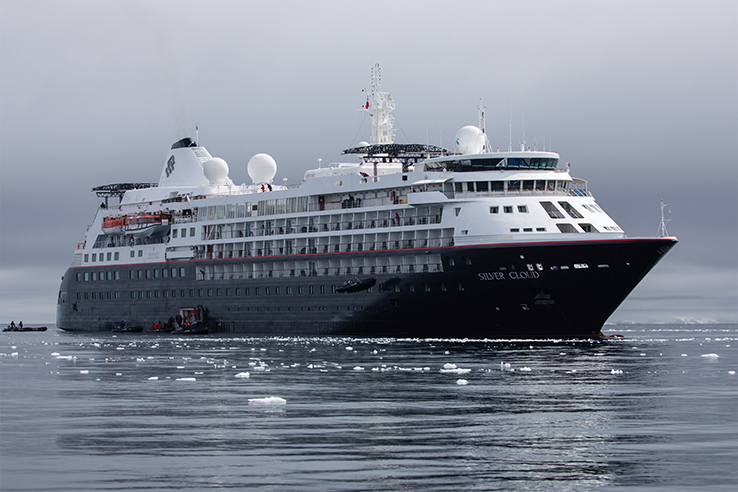 A strengthened hull with a Lloyd’s Register ice-class notation (1A) for passenger vessels enables the Silver Explorer Expedition Cruise Ship to safely push through ice floes with ease. 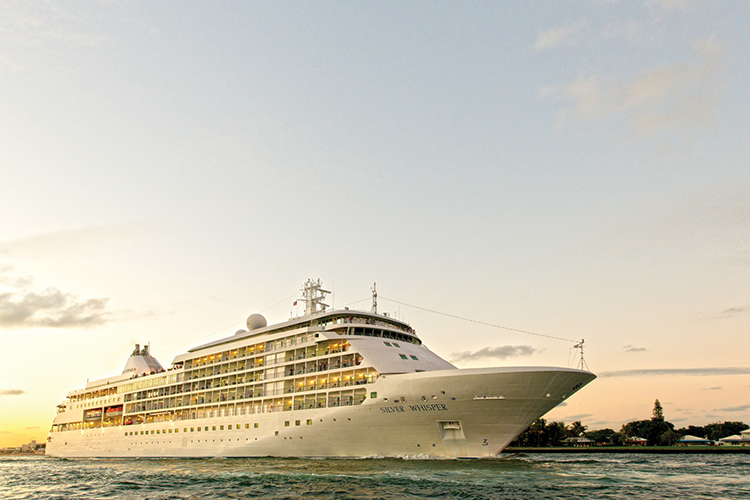 Images courtesy of Silversea. 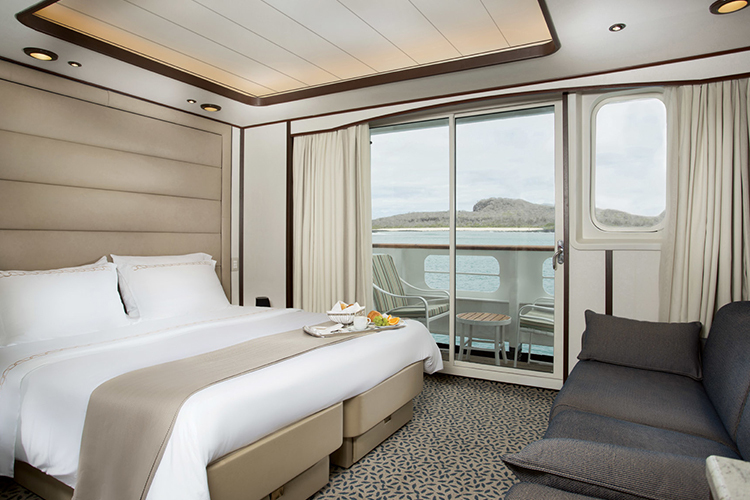 An intimate and exiting ship, the Silversea Galapagos effortlessly brings luxury and adventure together in one unforgettable experience. 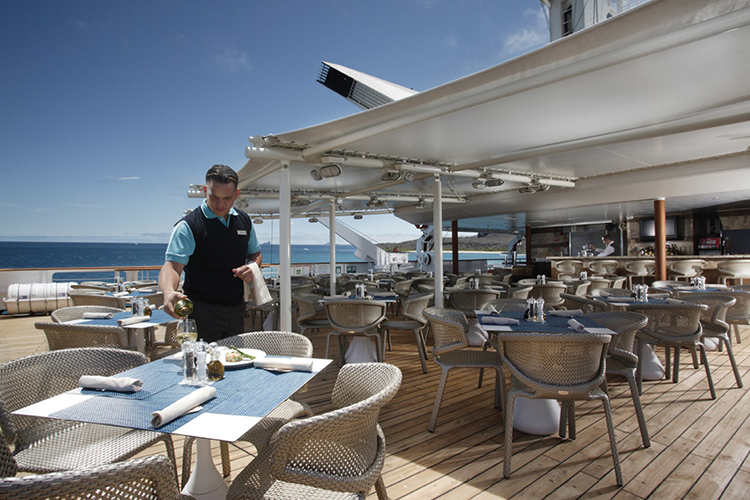 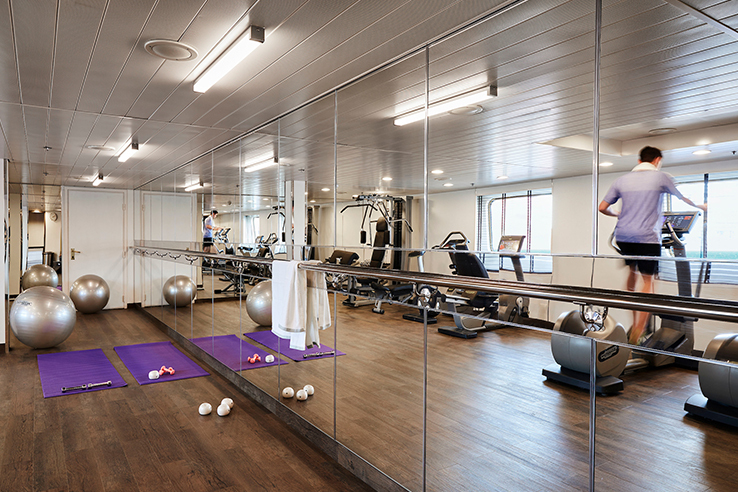 Built to accommodate a maximum of 100 passengers, guests on board Silver Galapagos enjoy personal attention and quality service. 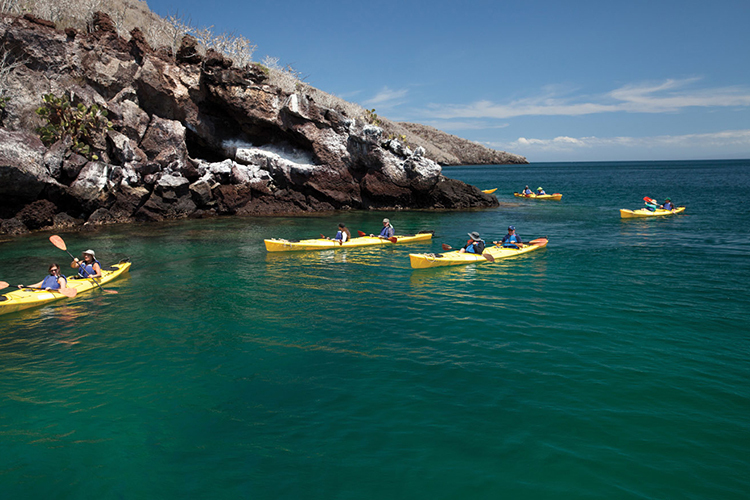 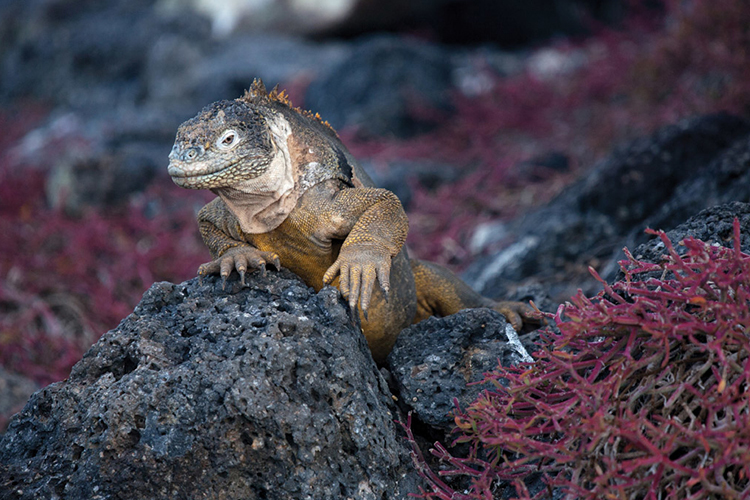 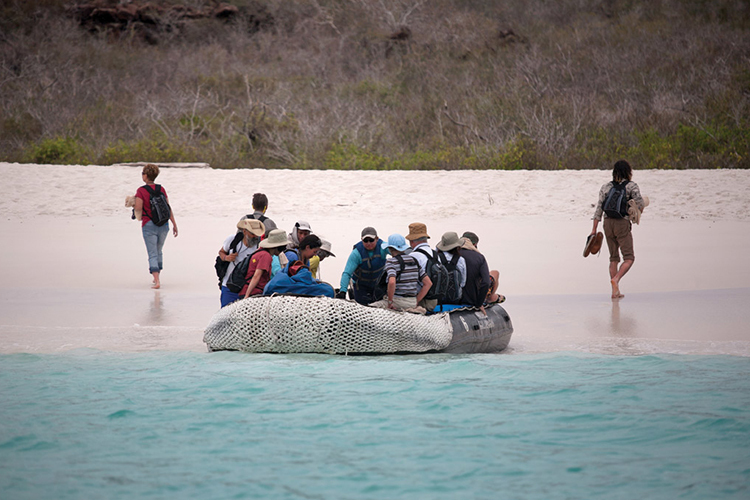 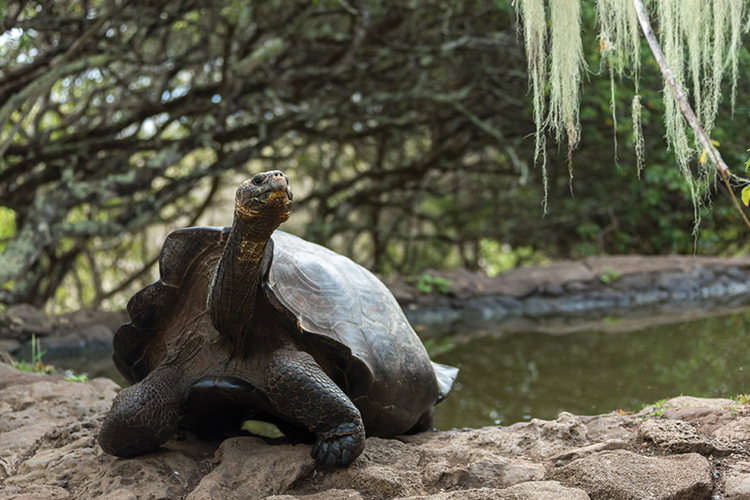 This ship also offers its passengers the speed and versatility to smoothly sail in and out of exclusive ports throughout the Galapagos Islands. 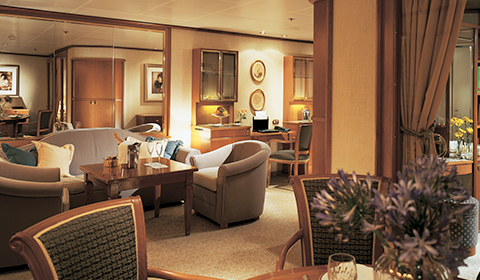 Images courtesy of Silversea. 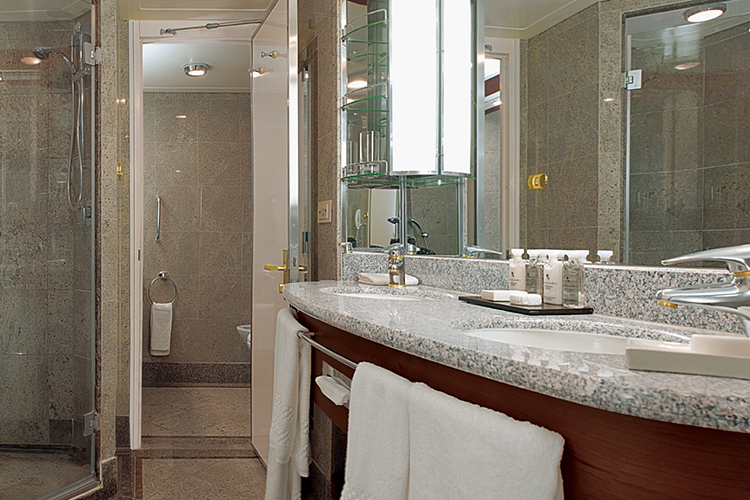 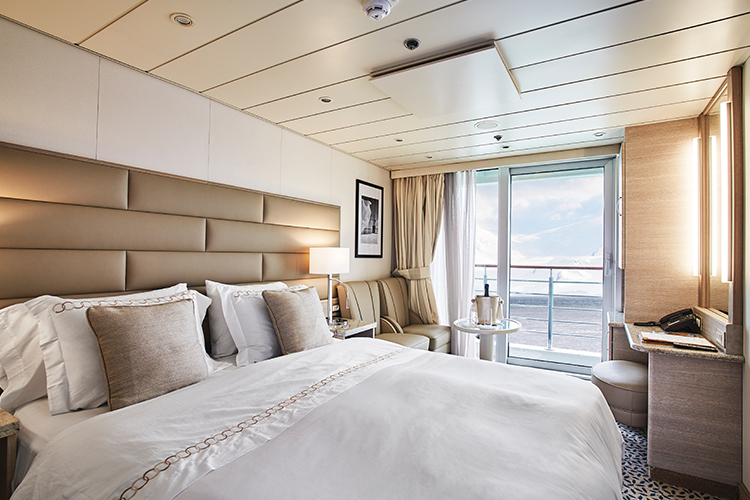 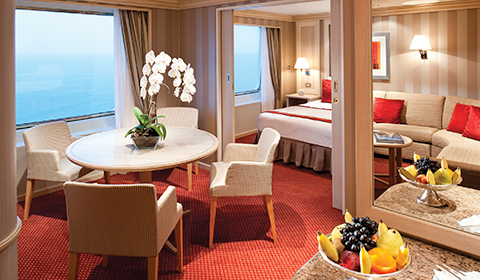 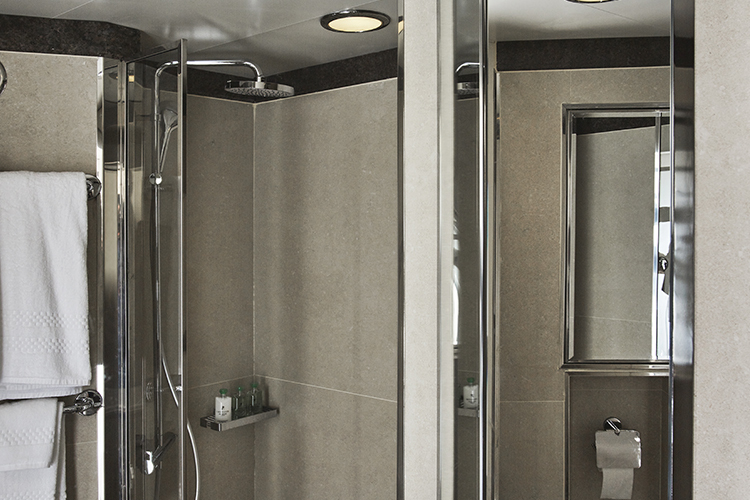 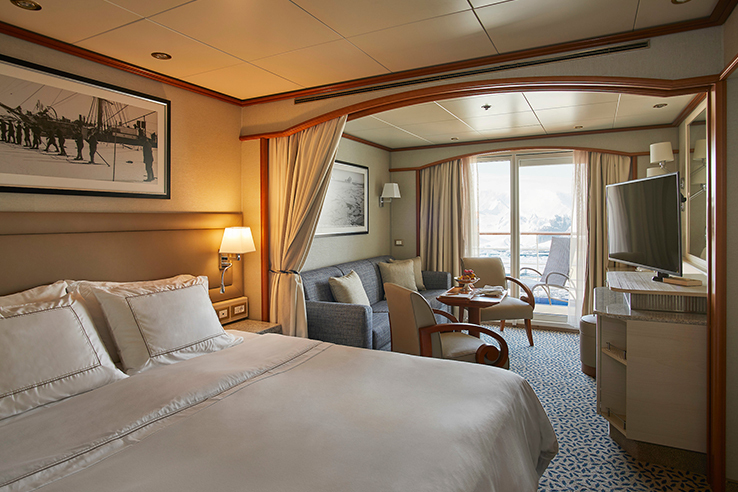 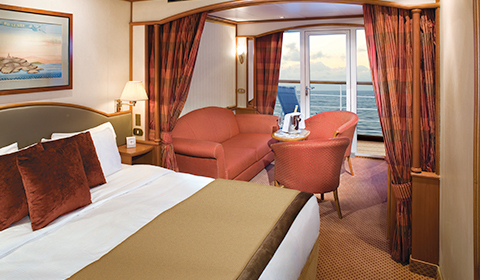 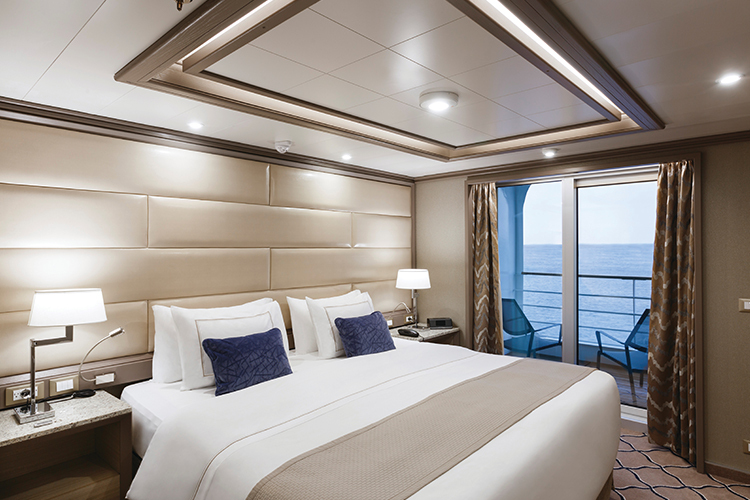 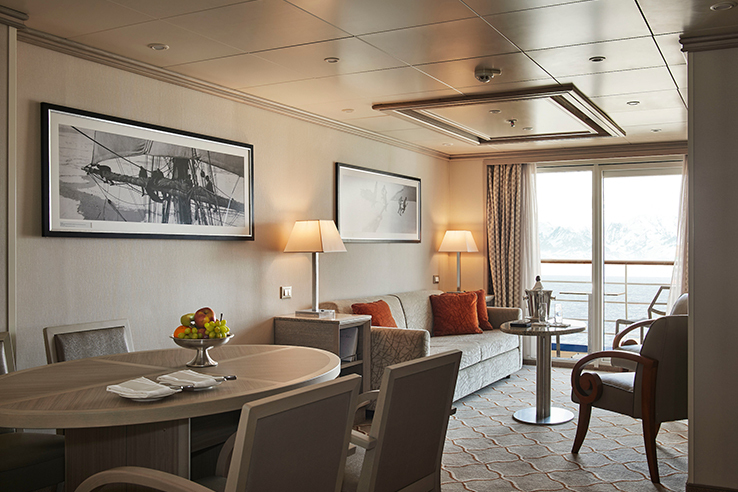 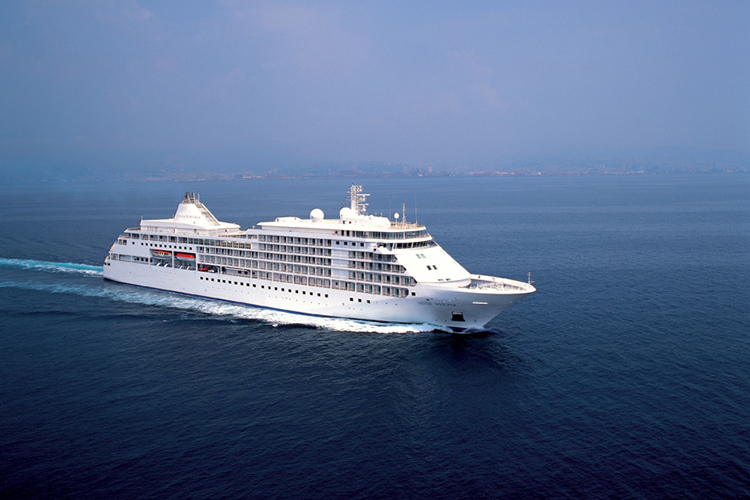 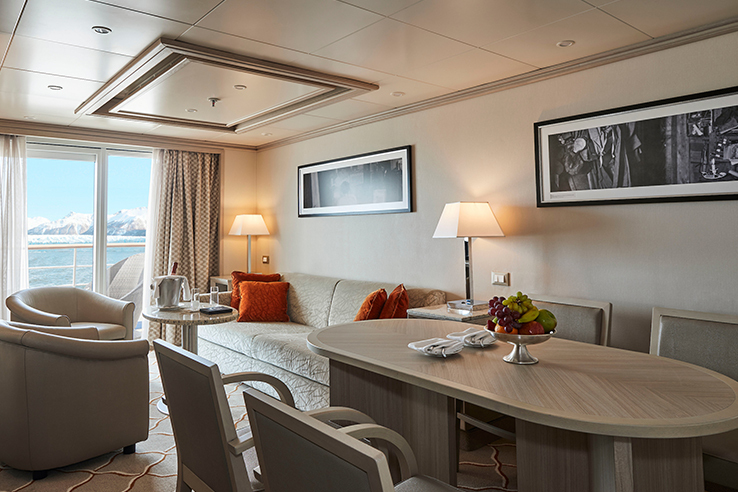 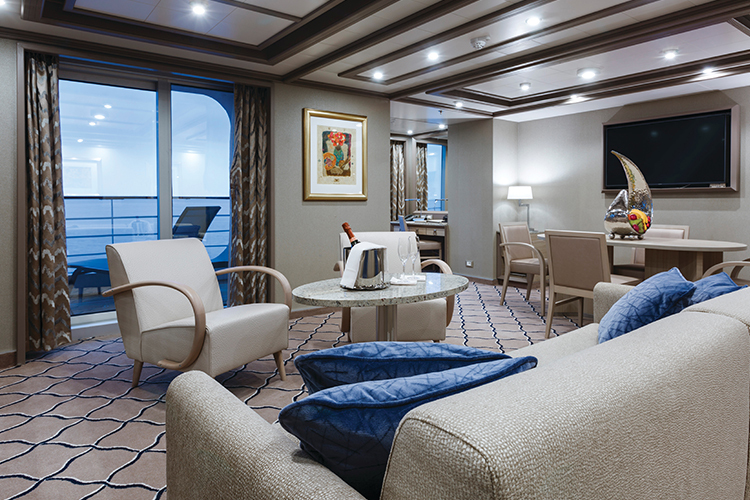 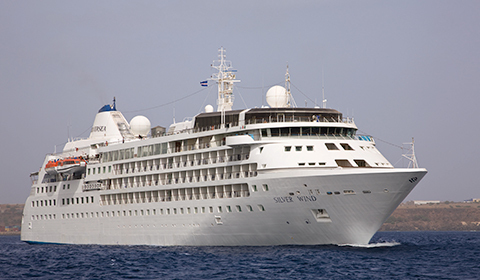 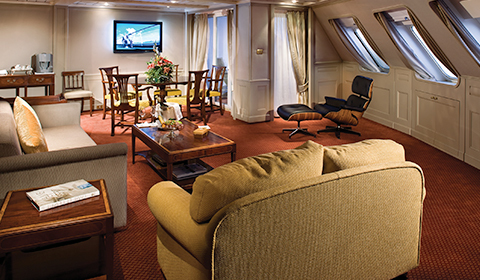 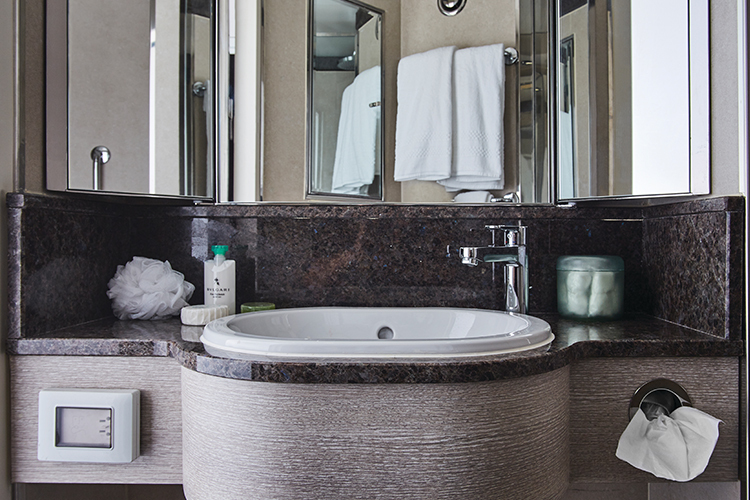 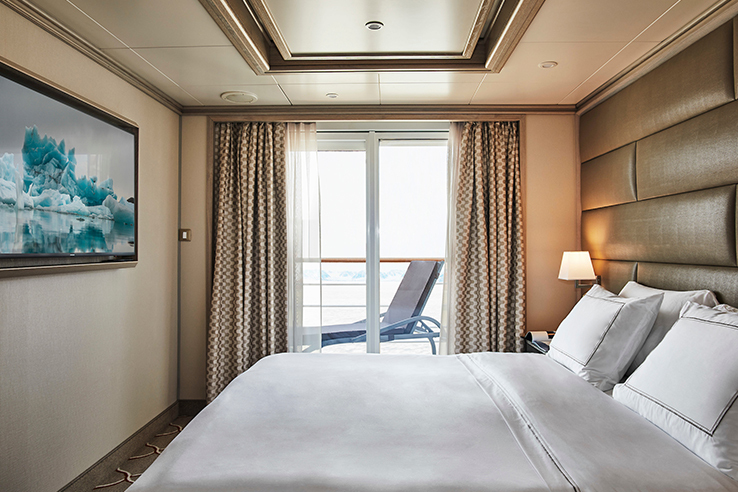 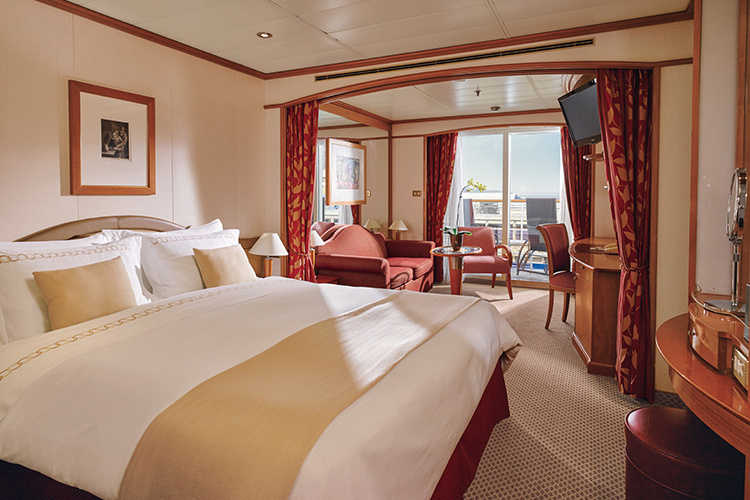 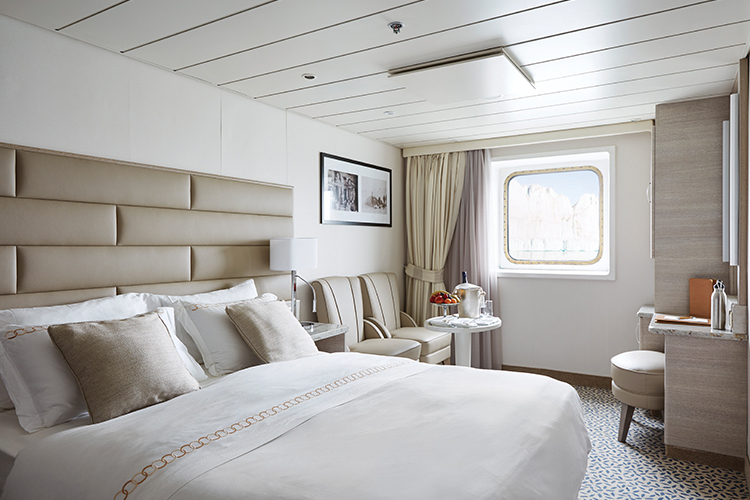 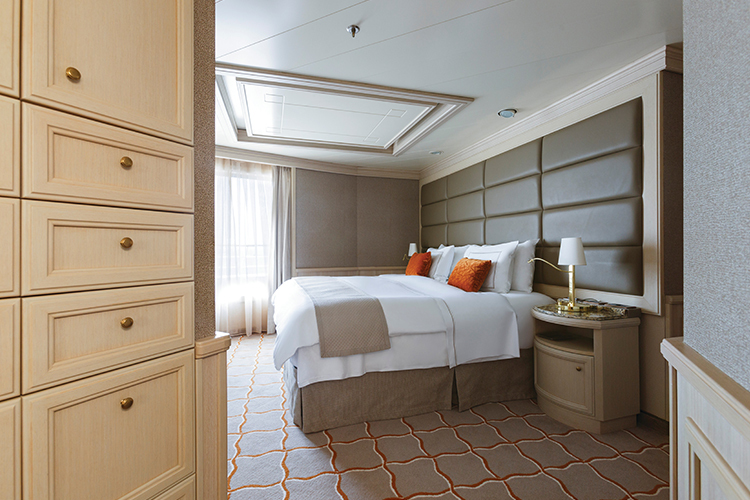 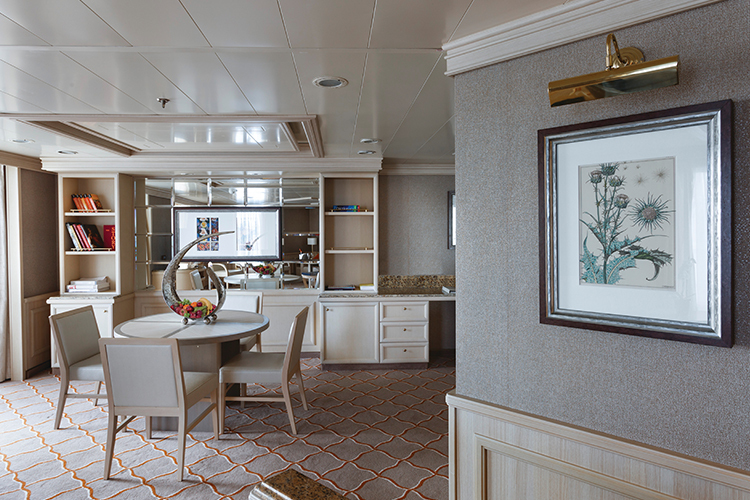 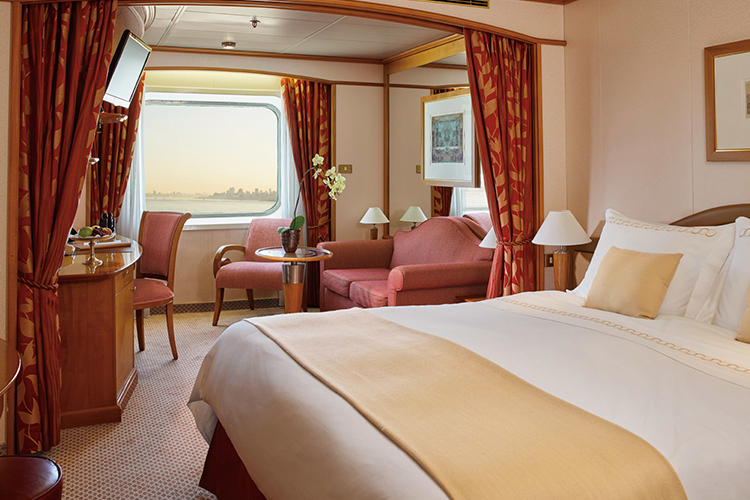 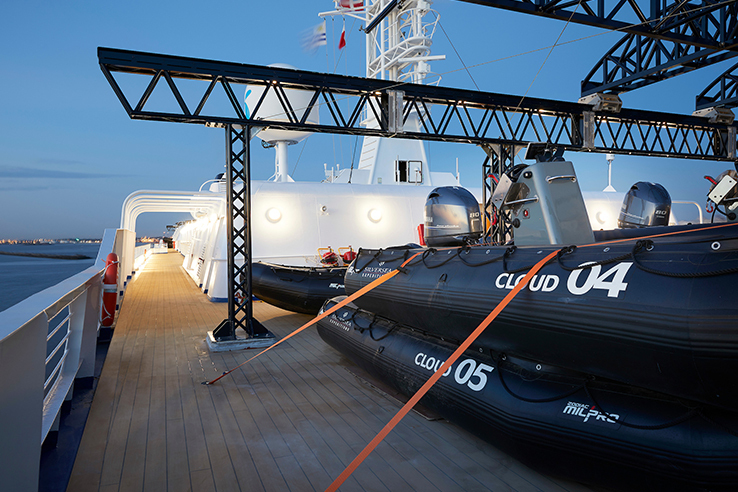 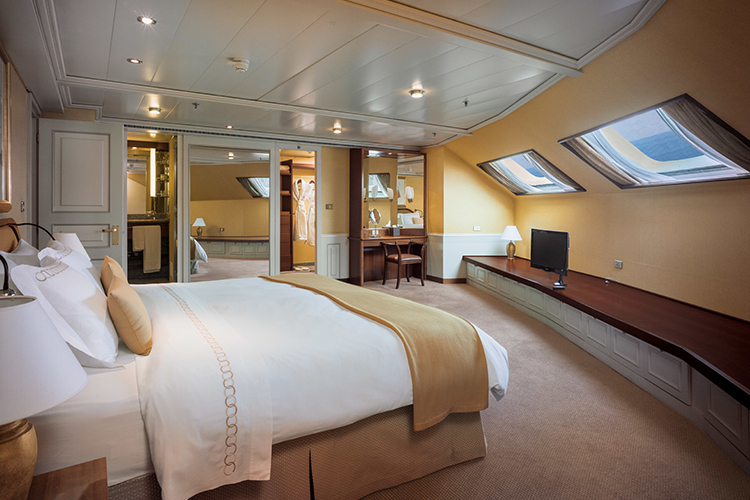 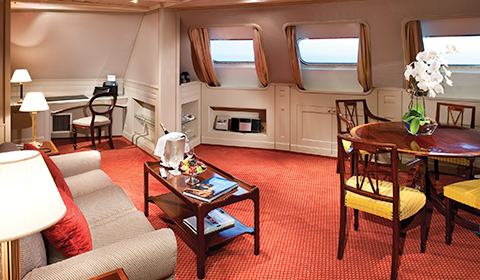 Slightly larger in size than ships Silver Cloud and Silver Wind, Silver Shadow retains Silversea’s essence – spacious suites, a complement of only 382 guests, superior service – paired with a lively cosmopolitan atmosphere and enhanced amenities. 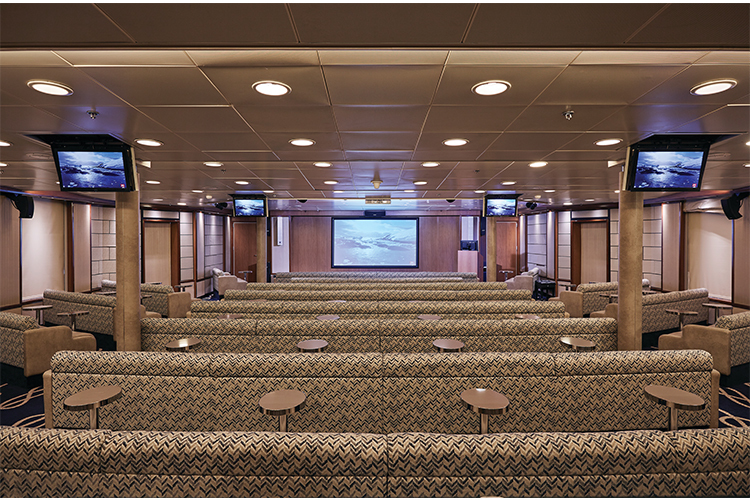 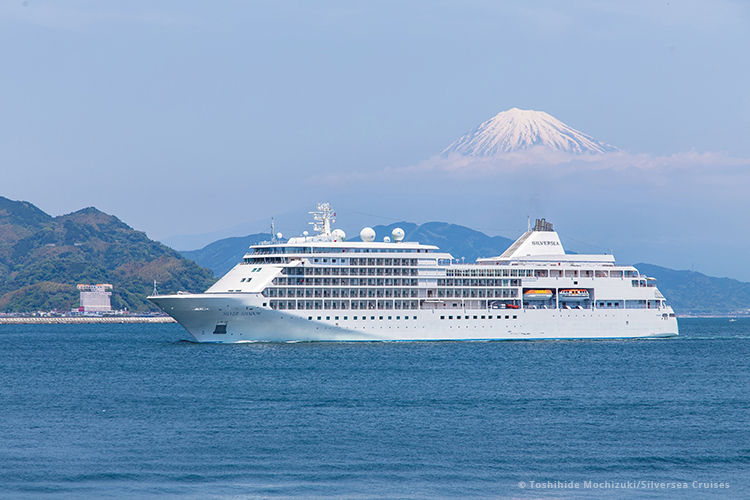 Images Courtesy Silversea Cruises. 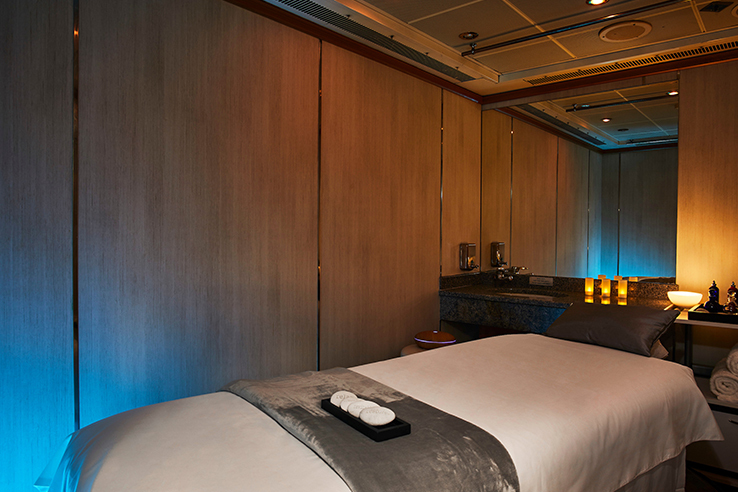 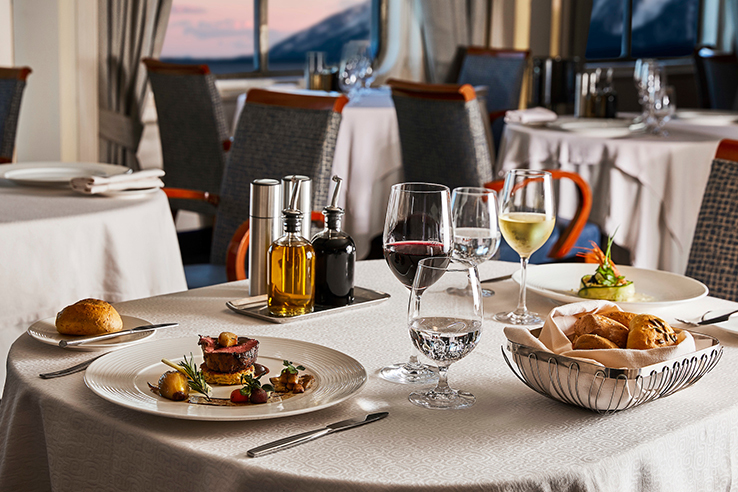 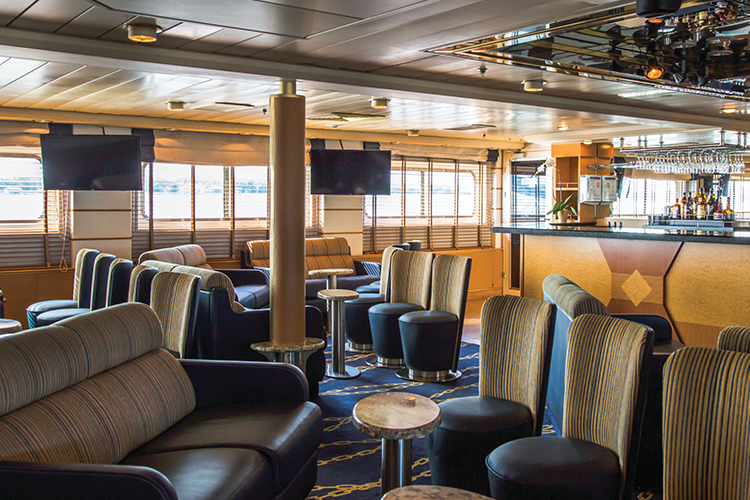 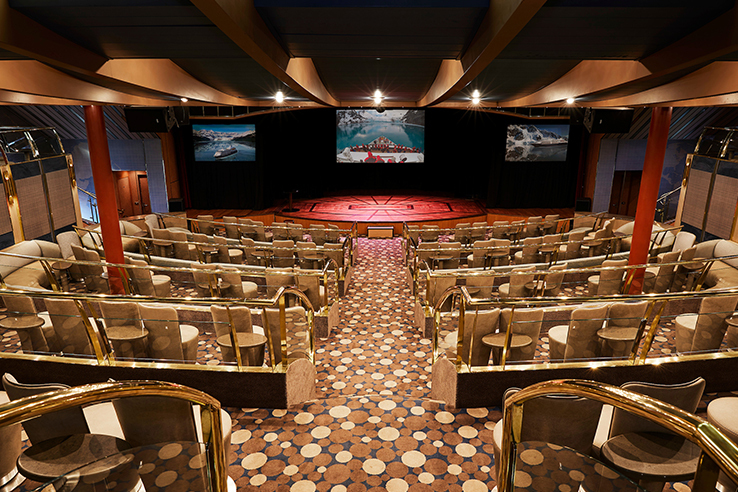 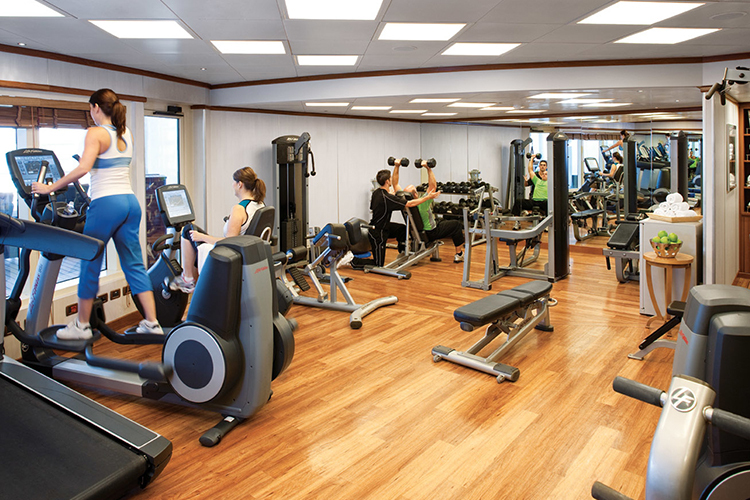 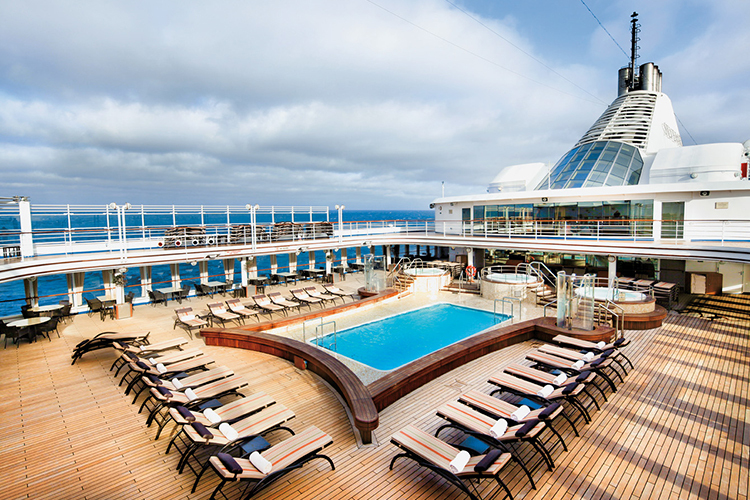 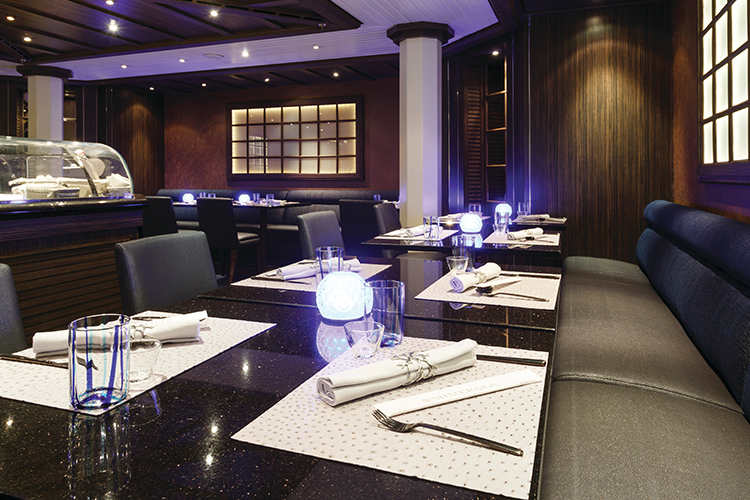 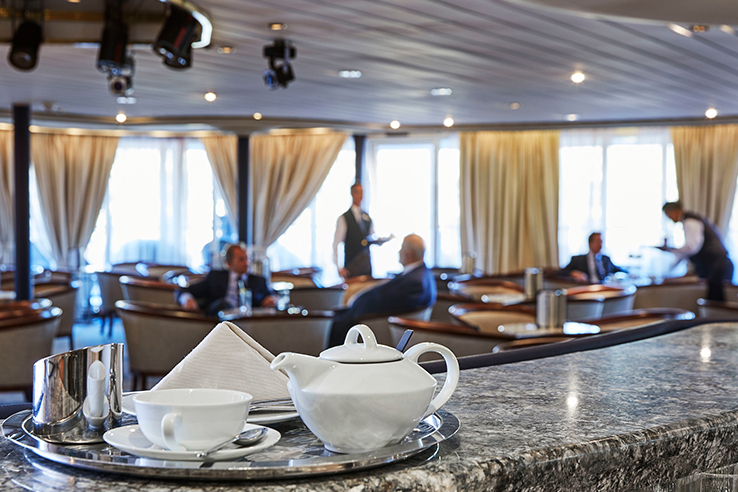 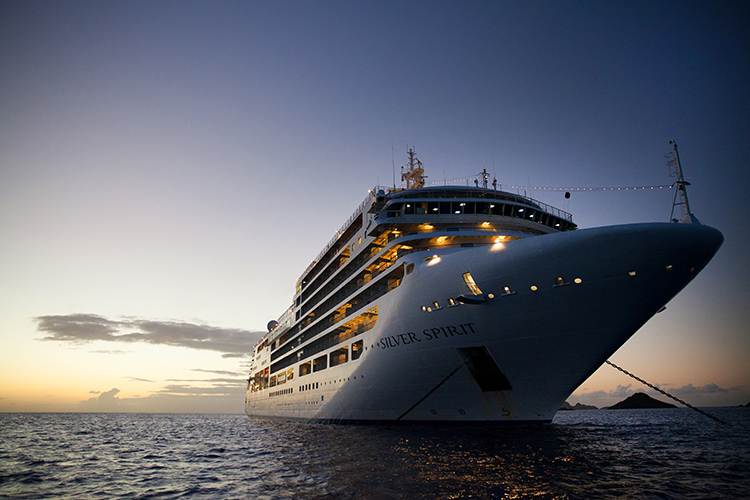 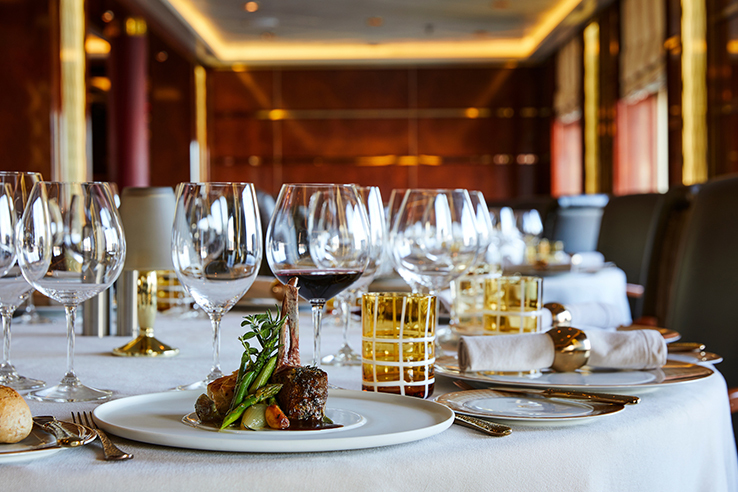 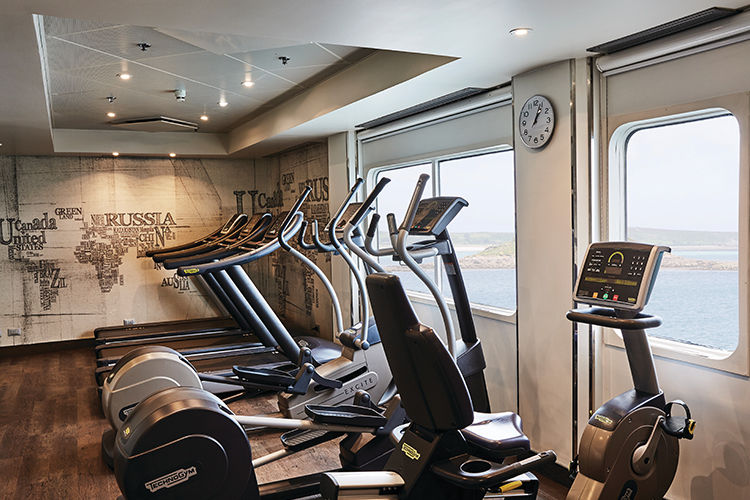 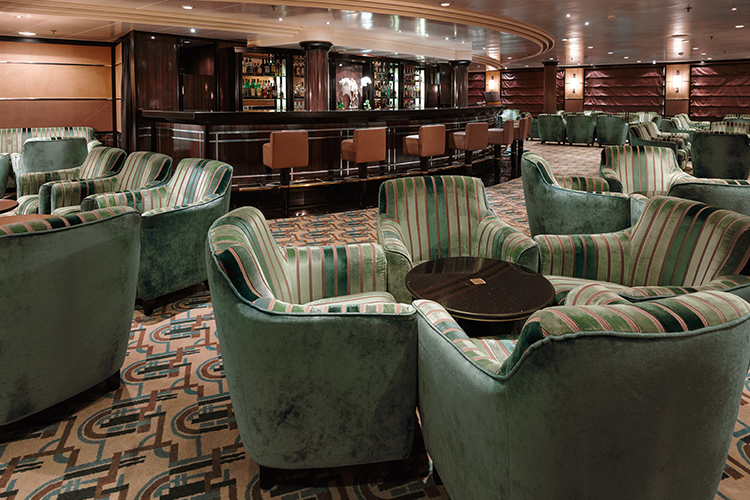 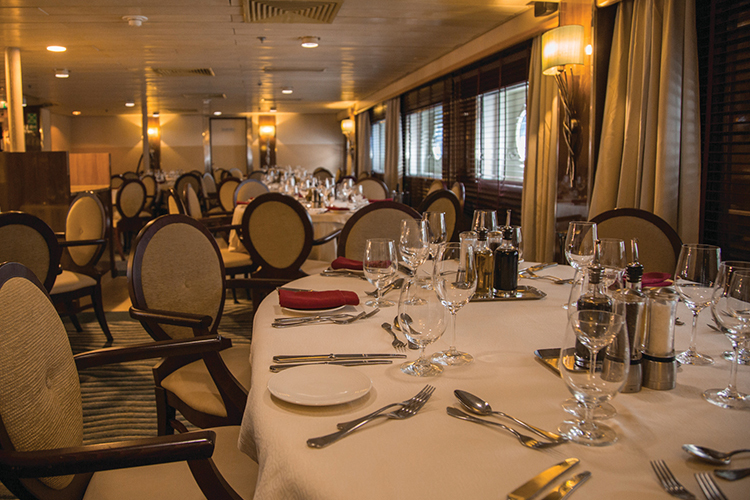 Silver Spirit, Silversea’s newest and largest ship, combines the award-winning hallmarks of the Silversea luxury cruise experience with expanded amenities and exciting new venues for dining and entertainment. 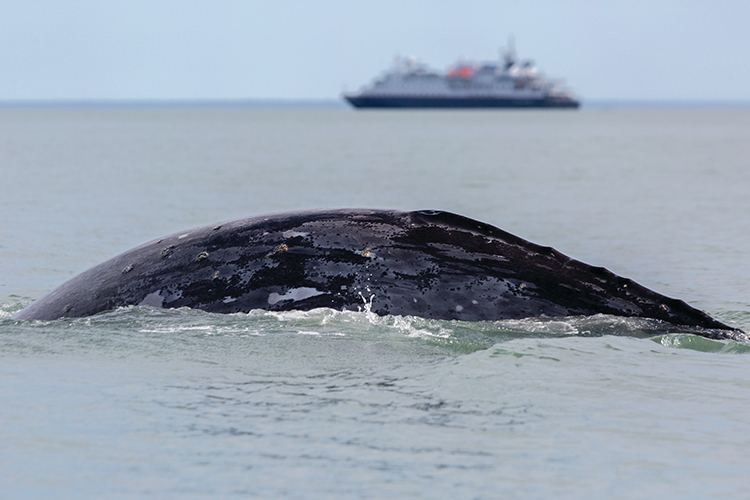 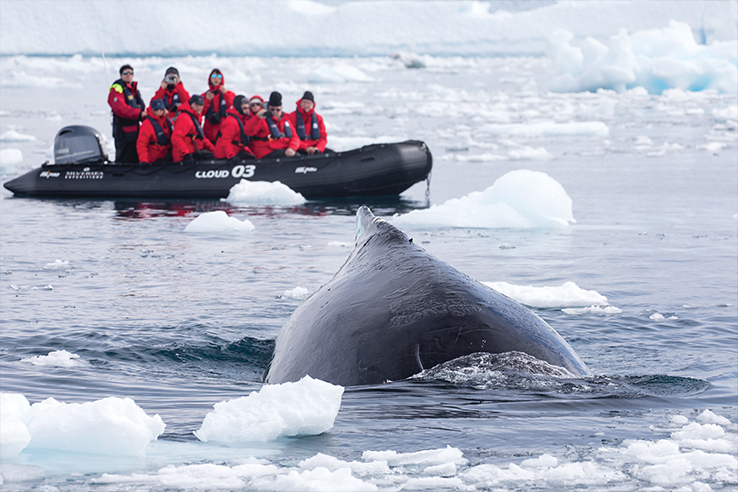 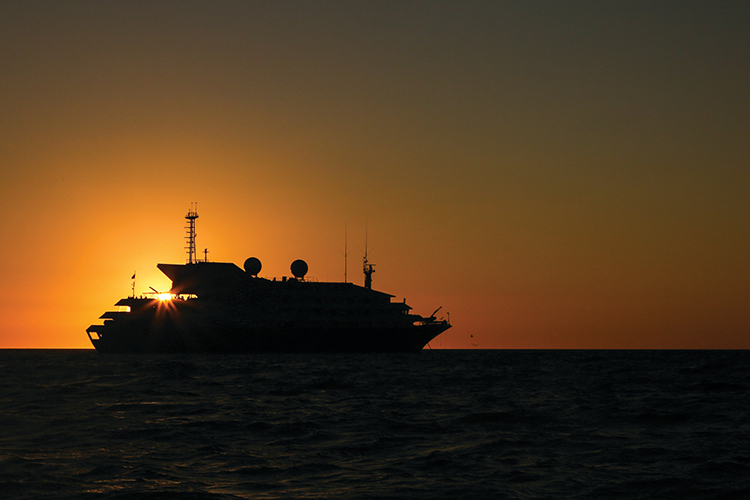 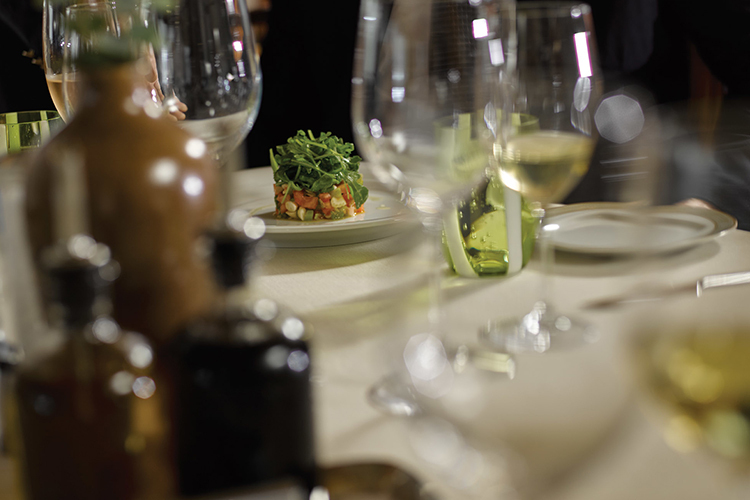 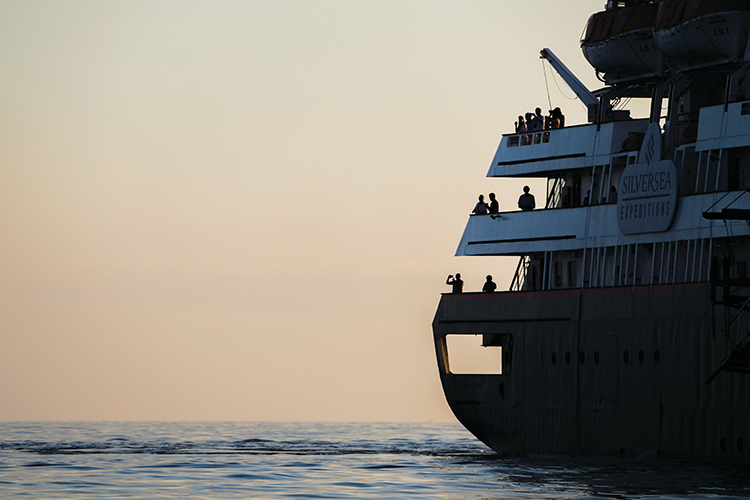 Images courtesy of Silversea.